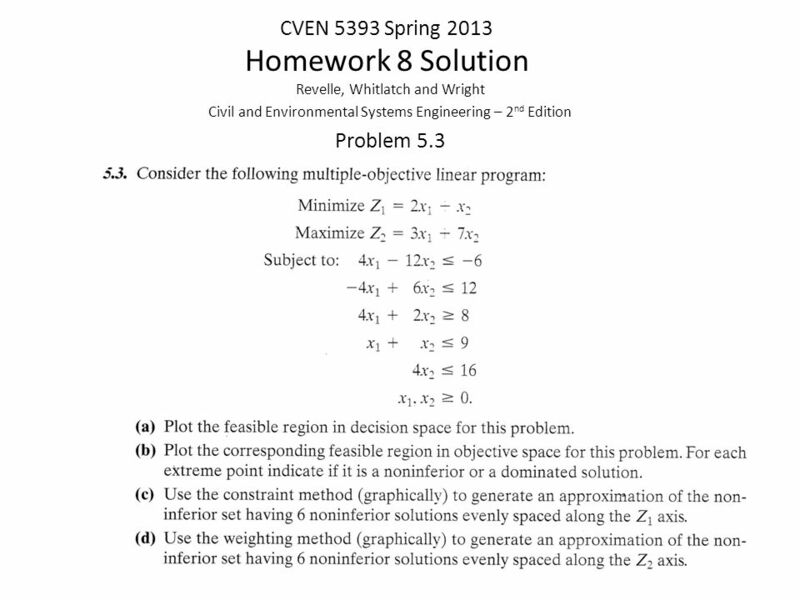 CVEN 5393 Spring 2013 Homework 8 Solution Revelle, Whitlatch and Wright Civil and Environmental Systems Engineering – 2 nd Edition Problem 5.3. 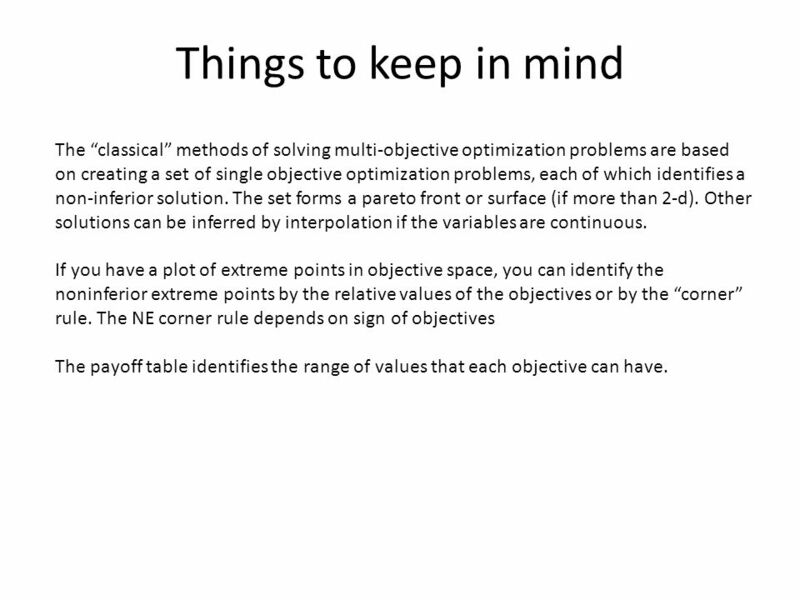 10 Things to keep in mind The “classical” methods of solving multi-objective optimization problems are based on creating a set of single objective optimization problems, each of which identifies a non-inferior solution. The set forms a pareto front or surface (if more than 2-d). 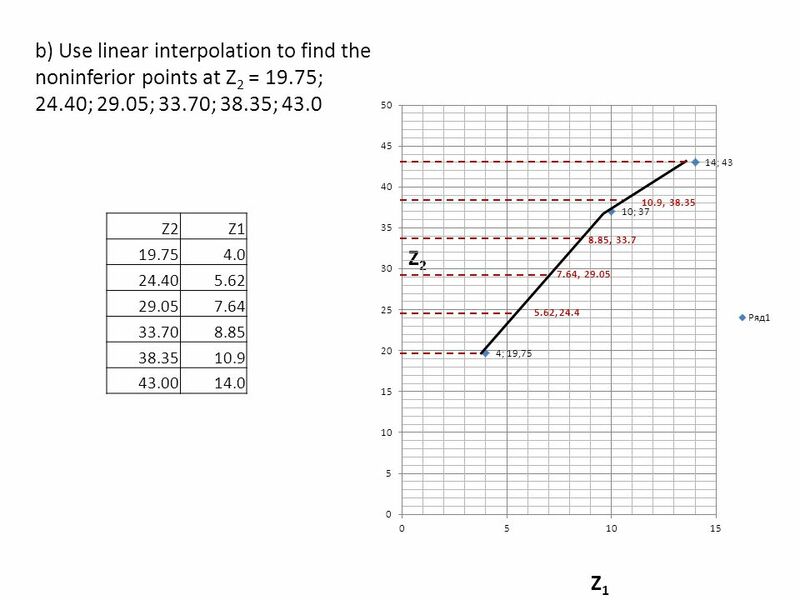 Other solutions can be inferred by interpolation if the variables are continuous. 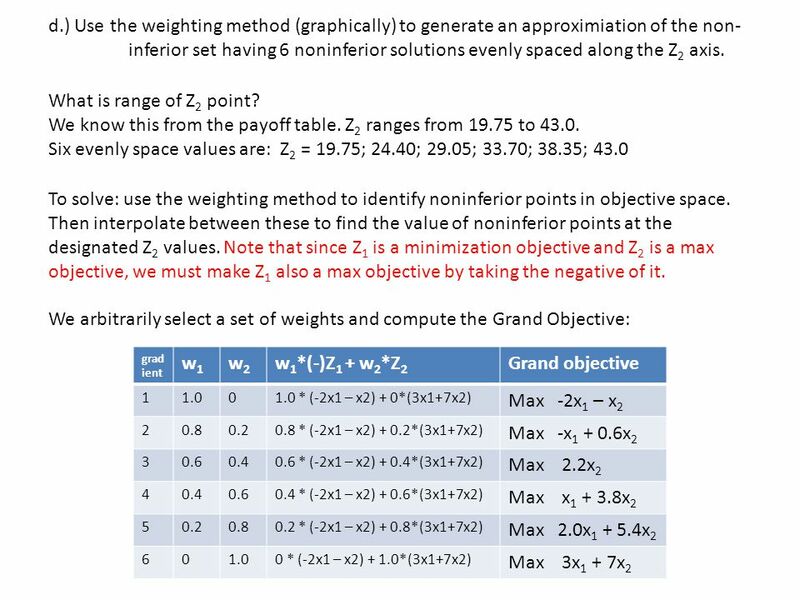 If you have a plot of extreme points in objective space, you can identify the noninferior extreme points by the relative values of the objectives or by the “corner” rule. 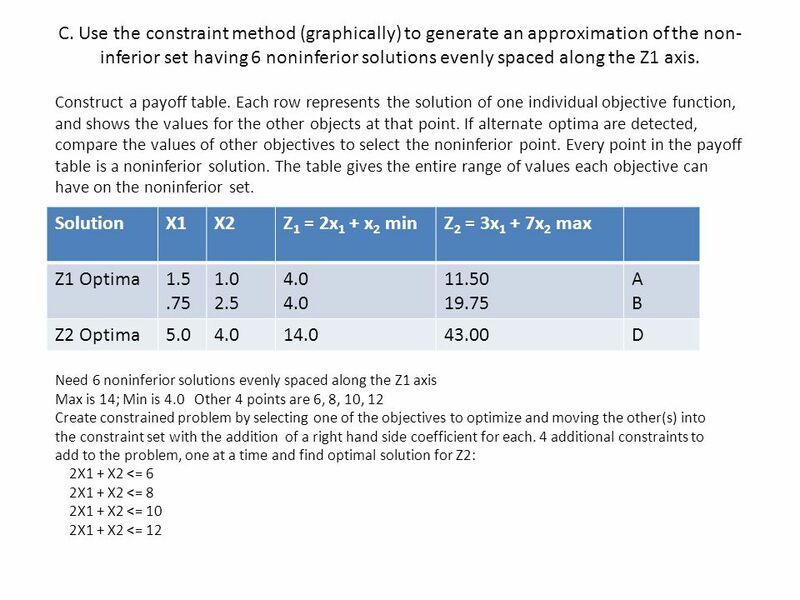 The NE corner rule depends on sign of objectives The payoff table identifies the range of values that each objective can have. 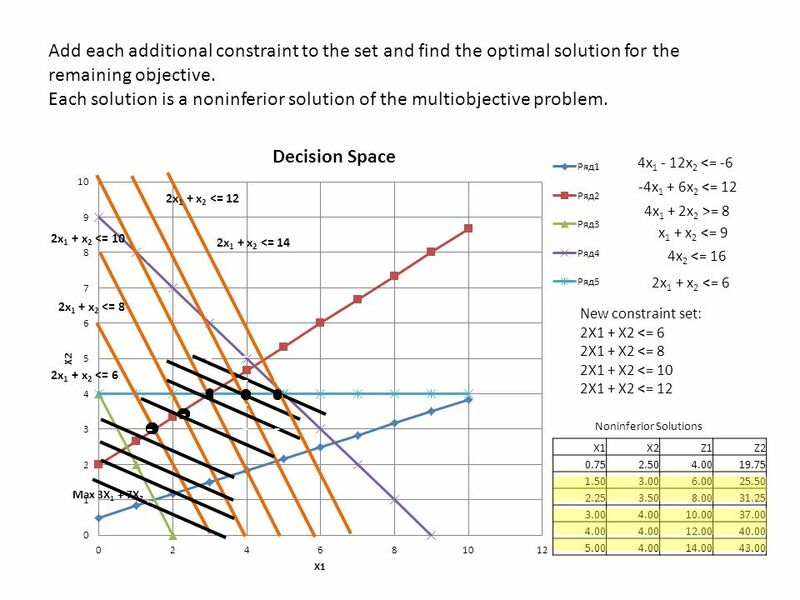 Download ppt "CVEN 5393 Spring 2013 Homework 8 Solution Revelle, Whitlatch and Wright Civil and Environmental Systems Engineering – 2 nd Edition Problem 5.3." Sample Space, Theoretical Probability, & Tree Diagrams November 21 st & 22 nd. 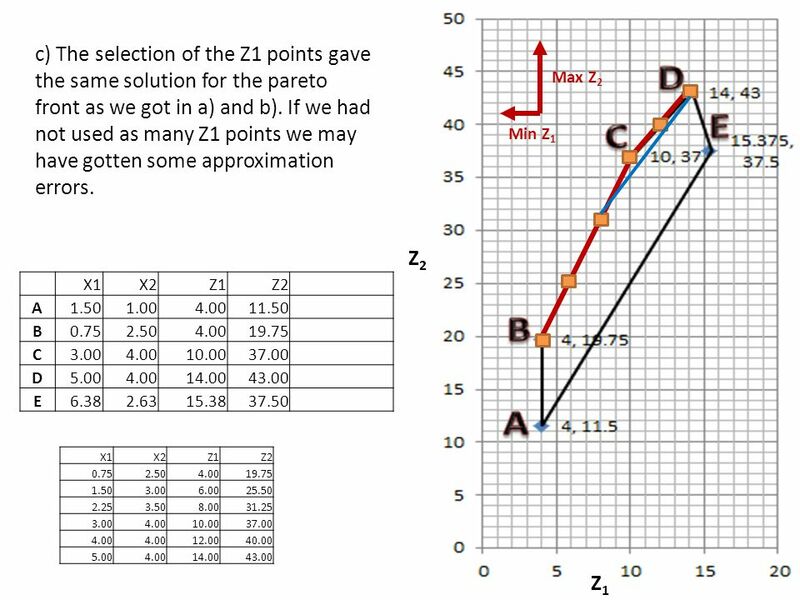 Scatter Plots with Your calculator Section 4-6. Page 636#10. 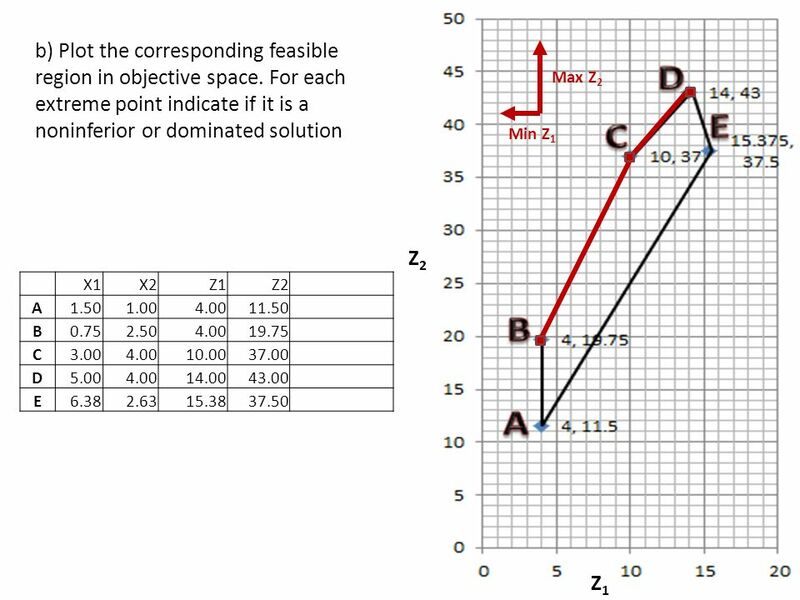 © 2003 Anita Lee-Post Linear Programming Part 2 By Anita Lee-Post. Copyright ©2011 by Pearson Education, Inc. Upper Saddle River, New Jersey All rights reserved. Introduction to Engineering Experimentation, Third. 1.040/1.401 Project Management Spring 2007 Lecture 7 Dr. SangHyun Lee Department of Civil and Environmental Engineering Massachusetts Institute. CE 101Dr SaMeH1 Engineering Geology (CE 101) Associate Professor of Environmental Eng. Civil Engineering Department Engineering College Almajma’ah University. C HAPTER 3 Architecture and Organization © 2014 Cengage Learning Engineering. All Rights Reserved. 1 Computer Organization and Architecture: Themes and. Urban Systems Collaborative #urbansystems April 19, 2012. 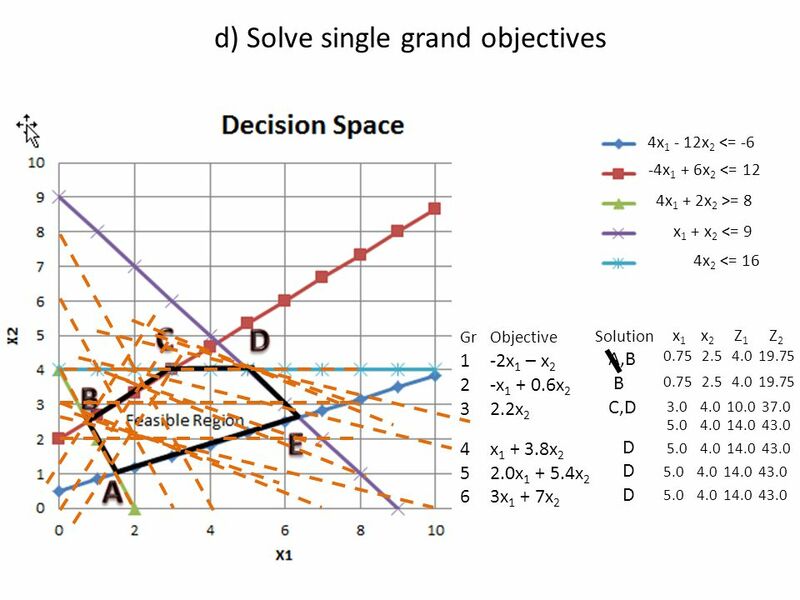 1 Spreadsheet Modeling & Decision Analysis: A Practical Introduction to Management Science 3d edition by Cliff Ragsdale. 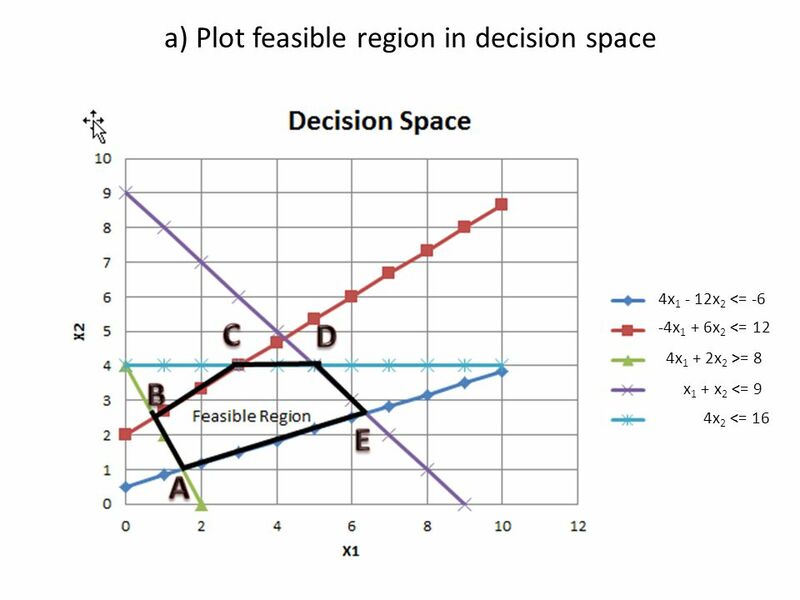 Spreadsheet Modeling & Decision Analysis A Practical Introduction to Management Science 6 th edition Cliff T. Ragsdale © 2011 Cengage Learning. All Rights. University at Buffalo Bridge Engineering Program Dept. of Civil, Structural & Environmental Engineering. AAE 450 Spring 2008 Chris Strauss Aerothermodynamics-Rocket Geometry Scaling Vanguard. Monroe L. Weber-Shirk S chool of Civil and Environmental Engineering Graphs, Spreadsheets, Dependence.